Today, I come bearing glad tidings to all of you! You see, as I myself enjoy the occasional indulgence in things that are sweet (though much less than what most would prefer), I believe in the power of cupcakes in making your week start off perfectly. Lucky for us, the creative and insanely talented Jes of Little Louie's Cupcakes (you should know her by now because she has been giving out cupcakes like crazy), has new flavors for us to drool over. 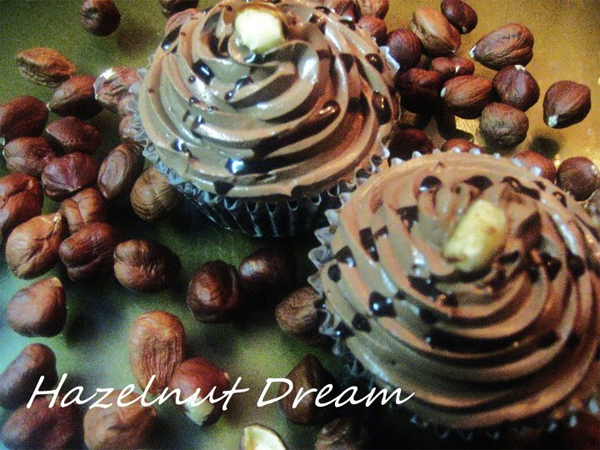 Rich dark chocolate cake with Nutella infused buttercream frosting topped with chocolate syrup and a hazelnut. A TRIPLE layer core of chunky peanut butter infused milk chocolate ganache, roughly crushed Oreos, and luscious strawberry jam nestled on a moist and rich vanilla cake bed and frosted with dark chocolate ganache, sprinkled with honey roasted peanuts, and topped with a brown heart-shaped fondant painted in Aztec gold edible glitters! 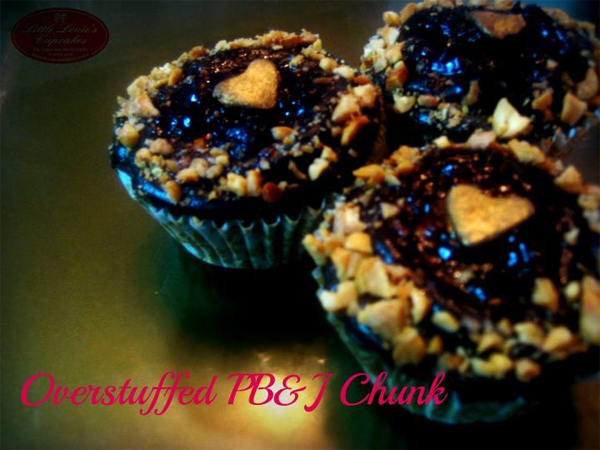 Just the way Jes experiments with the cupcake flavors is unbelievable! I cannot, for the life of me, be so bold with putting flavors together. I am always the by-the-book type of cook. No, I cannot even cook properly. But YES, if these photos have got you drooling, head on over to their Facebook page or e-mail littlelouie_cupcakes@yahoo.com for the full pricelist and other flavors they have to offer! OH MY. This post literally made my jaw drop!! I'm definitely gonna order from her soon!